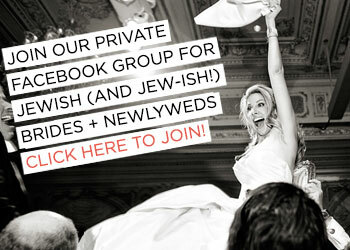 When picking out jewelry for your Jewish wedding – whether that means jewelry to wear yourself as the bride, to give as gifts to your bridesmaids, or even cufflinks to give to your groom – of course you want it to be an exquisite piece. But you probably also want it to be meaningful too. 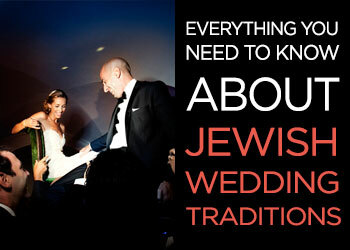 And that’s why I’m so delighted to be sharing one of my favorite sources for wedding jewelry with you, Kanarek Jewelry. Based in Brooklyn, Yael Kanarek believes that language holds special meaning unique to each individual, and endeavors to capture that beauty in each piece she creates. 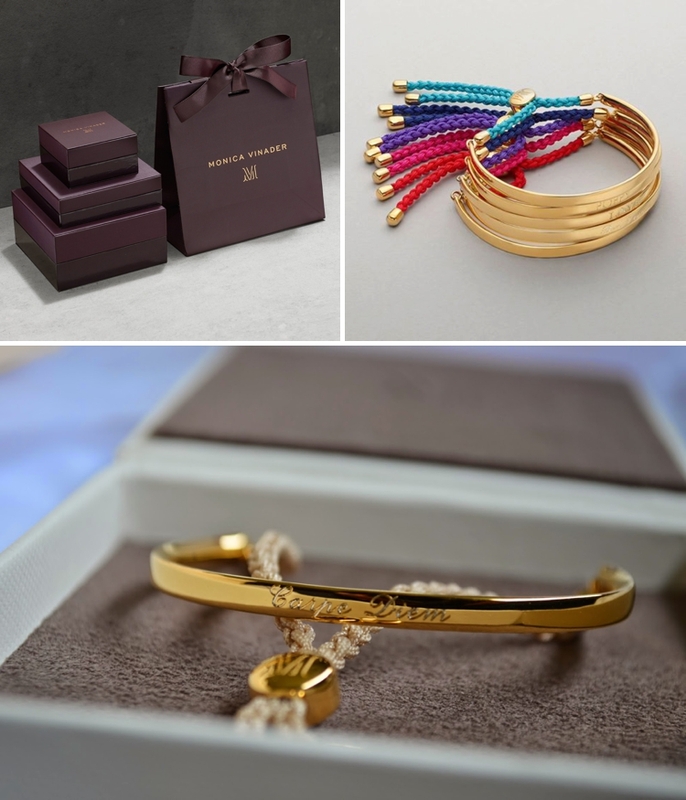 Her line of fine jewelry based on names, dates, and words – in Hebrew, English, or the language of your choice – brings language to the body in a sophisticated, straddling the line between playful and chic, and she has some great affordable pieces in the lineup. 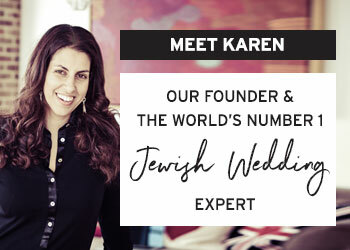 In addition to the beautiful selection of designs on her site, Yael specializes in custom jewelry – how perfect would it be to get a piece with your wedding date, or your names, or a special location or quote that’s meaningful to you as a couple? The sky is really the limit here, and Yael’s worked with many languages (even Sanskrit), so there are plenty of options beyond Hebrew! Valentine’s Day is just over a week away! While I’m sure you’ve all already lovingly selected and wrapped your Valentine’s Day gifts (ha!) I thought I’d offer a last-second helping hand, for anyone who might still be in a bit of a panic. One of the best things about blogging is that I get to really shout about my very favourite brands. 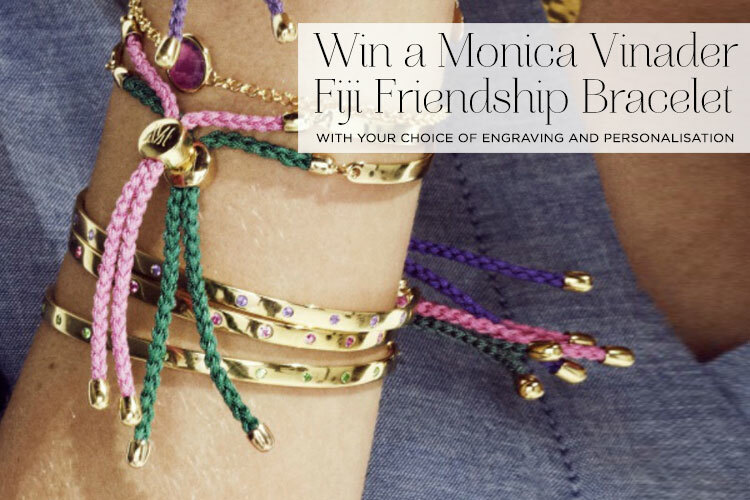 It’s absolutely no secret that I’m a MASSIVE fan of jewellery brand, Monica Vinader. I mean really, it’s not a secret. I really love Monica Vinader. I mean really, really. 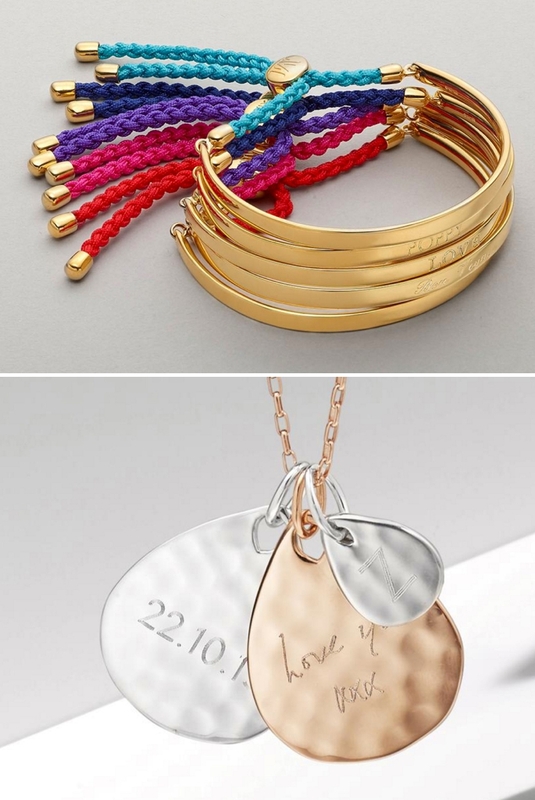 I love that the jewellery is luxurious but still within the realms of affordability, I love the subtle and chic aesthetic, I love the ease of personalisation — did I mention I heart Monica Vinader? So imagine my excitement when I heard about the launch of the latest collection, Nura. 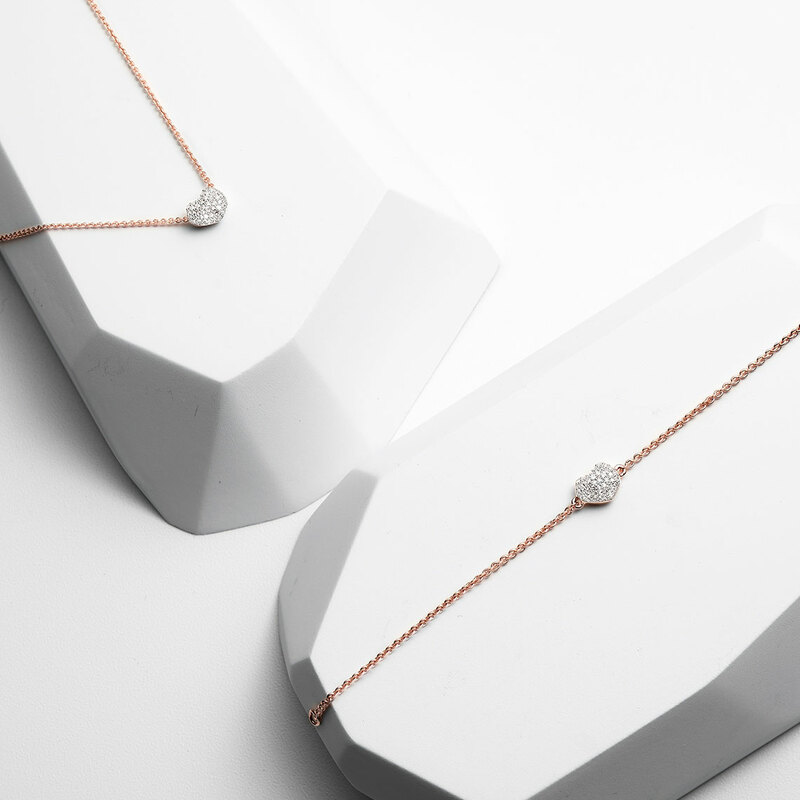 A perfect choice for Valentine’s Day given the heart-shape motif running through the collection, the fact that each piece is embedded with ethically-sourced diamonds — oh and the reasonable price point. 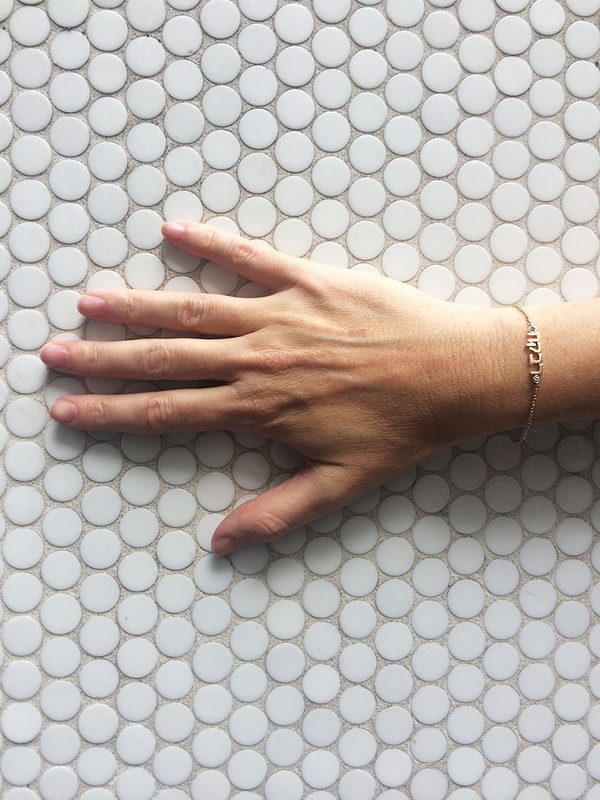 Monica Vinader popped up on my radar four weeks after my first date with Mr STG, when he bought me a stunning, delicate Fiji Chain bracelet (pictured towards the bottom of the post) for my 36th birthday. Let’s face it; gift buying that early on in a relationship is dicey territory. It’s a situation that presents umpteen, unseen etiquette hazards. Choose a gift too ostentatious and you risk overwhelming, give something modest or lacking in sophistication and you’re running the chance of a huge underwhelm. But wow! The future Mr STG got it so right. I was incredibly touched by the thought he’d put into choosing just the right piece (there are a lot of options) and I immediately fell for the – now iconic – classy, yet cool Fiji friendship bracelet. Luckily for me and Mr STG, it was love at first sight and I would have married him regardless but the fact that he unveiled himself to be a master present buyer so early on in the relationship certainly didn’t hurt. 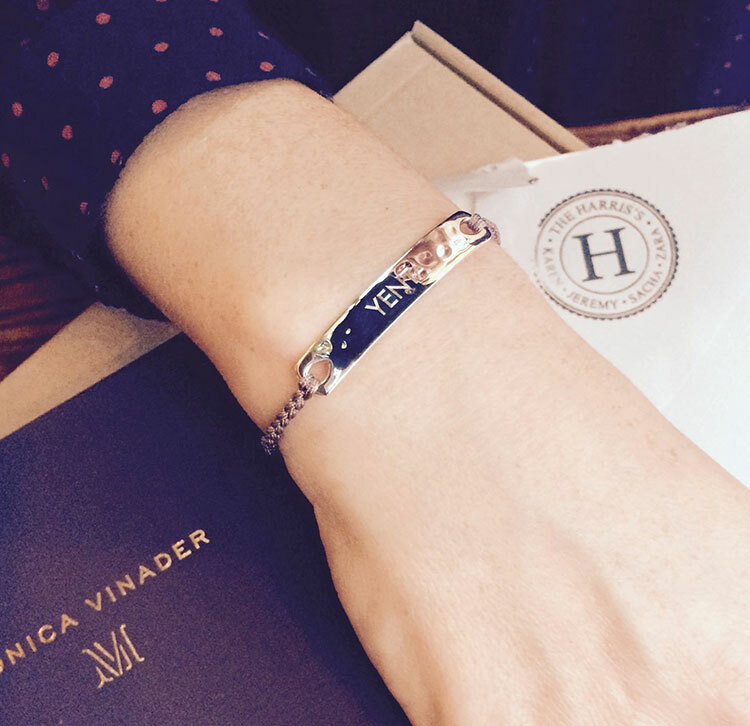 Since then, I have bought myself, friends and family a host of individually selected and engraved Monica Vinader pieces and I just love seeing their reaction when they open up the box. My first meeting with Mr STG was a blind date, set up by an old school friend. She’ll forever be our matchmaker, our Yenta and so for her birthday this year I sealed the deal with a mink cord, silver Havana bracelet with her nickname YENTA engraved on it (see it below). She was totally thrilled. 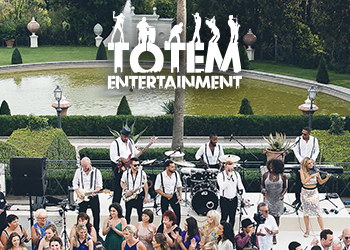 It’s our in-joke and the gift was received with the warmth in which it was meant. 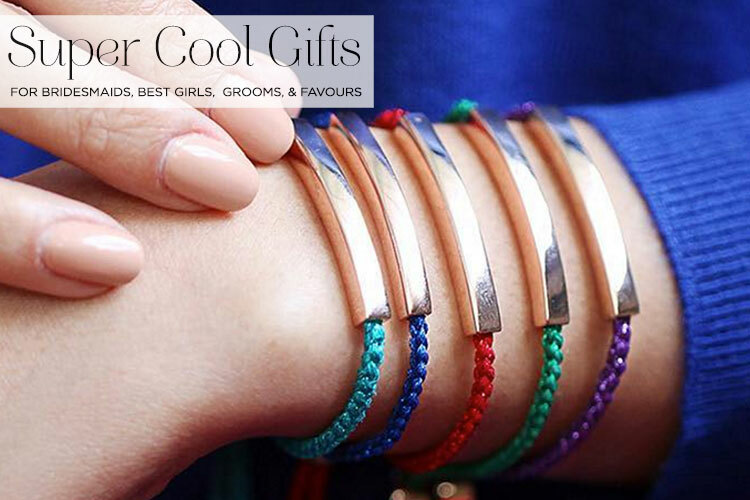 No matter how old you get, there’s nothing like a friendship bracelet to make you feel special. Anyone that knows me, knows about my obsession with Monica Vinader and how it’s played its part in my love story with Mr STG. They’ll also know that I was a graphic designer in a past life and am near obsessed with typography and letter forms. So when I heard that Monica had launched an alphabet collection using a variety of typographic styles for each letter, I whooped, hollered and squealed with joy… I may also have done a little prance and a jig around STG HQ. What would I go for? A K (for Karen) pendant no doubt. Or perhaps I’d buy four! I’d love a K J S and Z symbolising the initials of Karen, Jeremy, Sacha and Zara, to represent myself, my husband and two daughters. 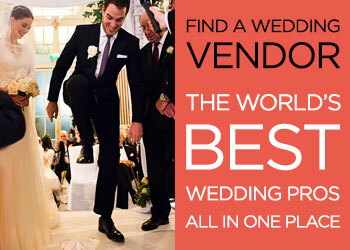 But it’s as a bride that you can have the most fun with these. On my wedding day, I surprised Mr STG right after our ceremony by wearing a necklace with my new initials for the reception and party. 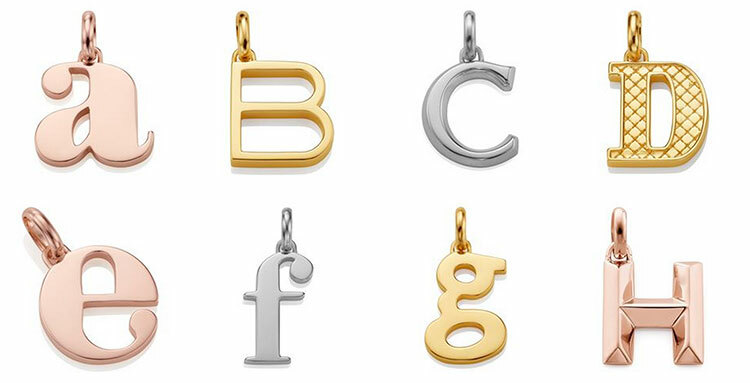 I hunted high and low to find some beautiful typographic pendants but couldn’t find anything particularly special. In the end I went for these rather simple silver letter pendants on a ball chain. 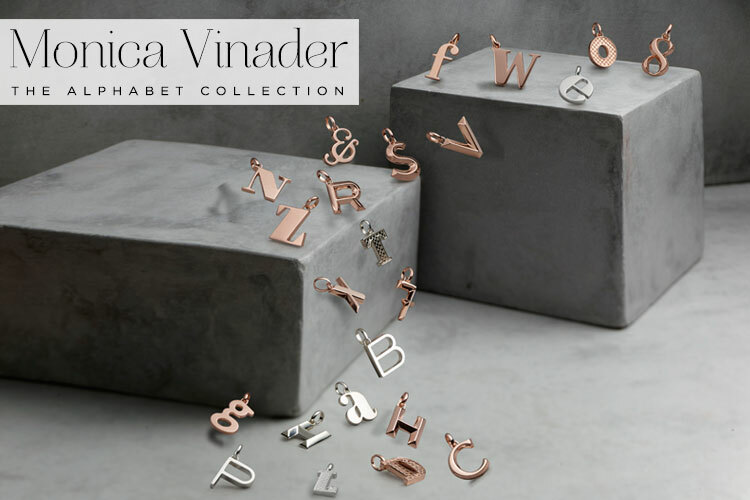 If only Monica Vinader had launched the alphabet collection back in 2013 I would have jumped to buy her K, C and H! (In case you’re wondering, my maiden name is Cinnamon, and my husbands’s surname is Harris. I chose to go double barrelled and become Karen Cinnamon-Harris). Of course these would also make beautiful bridesmaid gifts too, especially as each letter is distinct with its own style. It also adds a wonderful design touch that they come in a mix of upper and lower case letters, and deliberately vary between hanging straight and at angles. Prices for the pendants range from £65 to £80 and they come in 18kt rose and yellow gold vermeil as well as sterling silver, and sit beautifully with a Monica Vinader chain . Check out the full alphabet collection right here , and do let me know what you go for!